Finally, a premium managed reseller hosting solution. A fully managed infrastructure solution built for reseller hosting! Choose between Linux/cPanel and Windows/SolidCP environments in Canada or the U.S. Plesk can also be used with either platform for reseller hosting solutions if required. Easily control sites and accounts with common billing platforms like WHMCS and Hostbill, plus resell our full suite of additional services. As part of the Managed Reseller Hosting Program, you automatically receive our Proactive Management and support. This is comprehensive, 24×7, live coverage that helps us detect and resolve system issues before they turn into problems. Cartika also provides Personal Data Compliance for your environment. GDPR, PIPEDA and other personal data handling compliance requirements are included with your services. 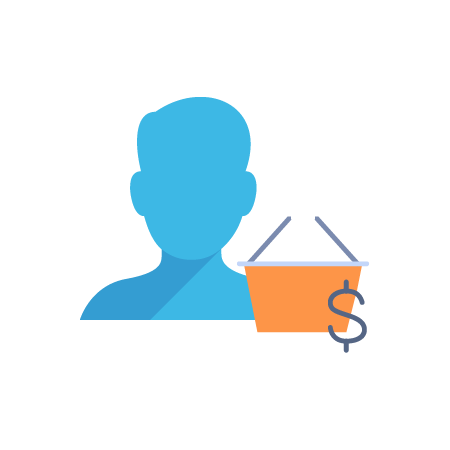 Cartika takes care of everything you need so you can focus on your customers and growing your business. These are not your typical cPanel/Plesk or SolidCP reseller hosting services. Whether you host internal sites and want to move them into separate accounts or VMs, or an IT services company managing customer sites and applications – Cartika offers the flexible, cost-effective Infrastructure-as-a-Service (IaaS) you need. We proactively and fully manage our reseller hosting environments letting you focus on your customer’s needs. For almost 20 years, resellers have chosen Cartika as their only choice for hassle-free, enterprise-grade IT platforms. As part of our Proactive Management plan, our reseller partners don’t need to worry about applying the latest system security patches, maintaining firewalls, or ensuring they have the latest Anti-virus (AV) protection updates (Powered by ESET real-time AV endpoint security). Cartika takes care of these security precautions on your behalf, and we monitor the VMs your clients rely on 24×7. If a malicious attack does take place, our early warning systems alert us so we can take fast action. We remediate the situation if we can and notify you as per your desired escalation procedures. Every environment reaches capacity at some point. Because Cartika proactively manages your managed reseller hosting account in a Virtual Server environment, our advanced Big Data analytics, provides usage trends which help us plan ahead. We’ll work closely with you to make sure your infrastructure has the capacity your clients will need when they need it. If sudden spikes unexpectedly occur, our support team will be there to lend a hand. In our view, support is the biggest gap in the IaaS market today. If you have worked with one of the cloud “giants” you know exactly what this means. We work hard to ensure our partners and their clients have the support they need to keep things running smoothly. With around the clock “live” support and rapid response, we will never leave anyone stranded. If you are using one of our many add-on services for you clients – those too are supported 24×7! Linux/cPanel It doesn’t matter if you’re a boutique web shop, a corporation, or just a freelance techie, anyone can use cPanel & WHM, along with their virtual private or dedicated servers, to offer hosting to customers. cPanel has been an industry standard since 2001 and the preferred Linux management tool for most of our clients. Manage all your Windows servers from one single responsive web interface. The powerful, flexible and fully open source SolidCP platform gives users simple point-and-click control over Server applications including, IIS & MS SQL Server. Plesk was designed to install and manage web hosting systems and applications by simplifying management and administration of the websites. We offer it for those who want to have a cPanel alternative. When reselling IT services to augment your current offering, you want fewer partners, simplicity, and choice. By leveraging our powerful API platform, you have a near-endless range of integration options to the systems that help drive your business. From billing to automation to communications – Cartika makes it easy to manage your environment and optimize productivity. To help a reseller partner save time, improve productivity, and ultimately reduce costs – adding EMaaS to your portfolio is flexible and affordable. We have developed a unique cloud-based email platform supporting both Microsoft Exchange® and IMAP/POP accounts on the same domain! 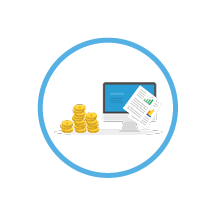 Complete and easy account management provides your clients with the best of both worlds. All this for only $8/mth per Exchange user and $3/mth per IMAP/POP account which also includes Outlook Web Access (OWA) for webmail. Our powerful billing portal makes configuring and modifying your services a breeze. Learn More. SFaaS is a powerful platform extension that helps people take control of their email systems – not the other way around. SFaaS (included for all users of Cartika’s EMaaS) provides management for both outbound and inbound traffic. 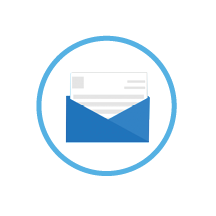 By suppressing outbound bulk marketing email, clients protect their business reputations and safeguard deliverability of important business-class communications in the future. Today, many companies use Office 365, Google Apps, or platforms like Cartika’s EMaaS for their email. However, a significant number of reseller partners still offer IMAP/POP services, often as a value-add with their hosting services. The challenge these providers have is that their customers demand support and often have deliverability (in some cases blacklisting) issues caused by sending a mass email. For managed reseller hosting customers, offering regular IMAP/POP* services, you can dramatically reduce your support costs by controlling outbound email traffic with SFaaS for only $150/mth per server. This covers all domains on your Cartika server or virtual machine for up to 500 email domains and unlimited users. Learn More. 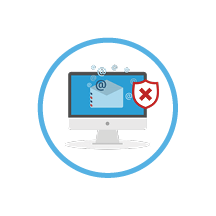 * Partners offering IMAP/POP email services on Cartika servers will be fully responsible for client blacklisting or deliverability issues if they do not subscribe to SFaaS. Almost every organization relies on data to operate and grow. Cartika’s BaaS solution provides comprehensive, cost-effective, and easy-to-manage backup and recovery. Our Bacula4-powered technology also plays a critical role as the main component of a disaster recovery plan. Help your clients survive even the worst crisis with their data and applications intact since our Premium Reseller Hosting Program includes BaaS with 15 daily restore points and up to 500GB of data. 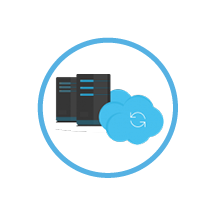 Your customers can also restore their data as needed, right from the hosting control panel. Learn More. To round out your managed reseller hosting portfolio, Cartika offers a full suite of add-on components. These are designed to help customers improve performance, availability, and security. They include our Content Delivery Network (CDN); Cloud Load-Balancers; Juniper Cloud VPN’s; Mobile VPN; AnycastDNS; Domain Names; and SSL Certificates. Let us help you build your IT services business without the added expense and worry! Are you a VAR with your suite of professional services? Sign up for the Cartika Affiliate Partner Program and have the best of both worlds. Leverage our flexible, secure, high-performance platform to build and manage the applications your clients are looking for. Increase recurring revenues, provide your customers proactively managed and compliant environments and offload day to day support and service availability to Cartika. Rest easy knowing your customers are in good hands being fully managed in our environment.